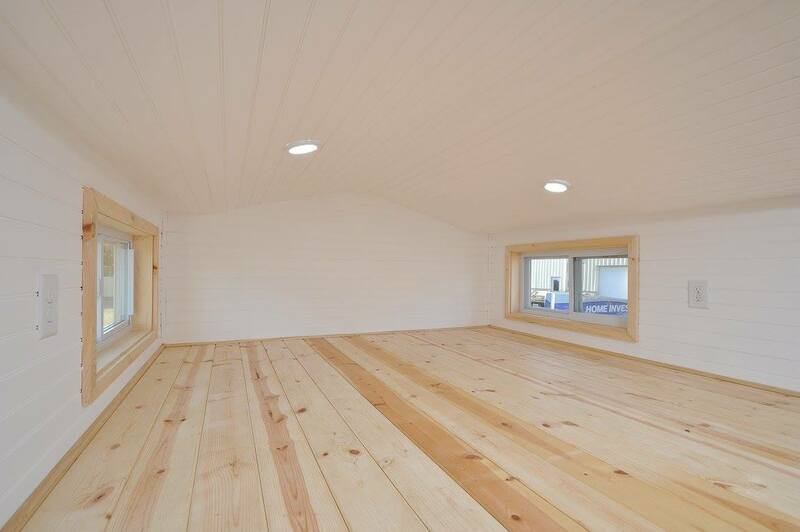 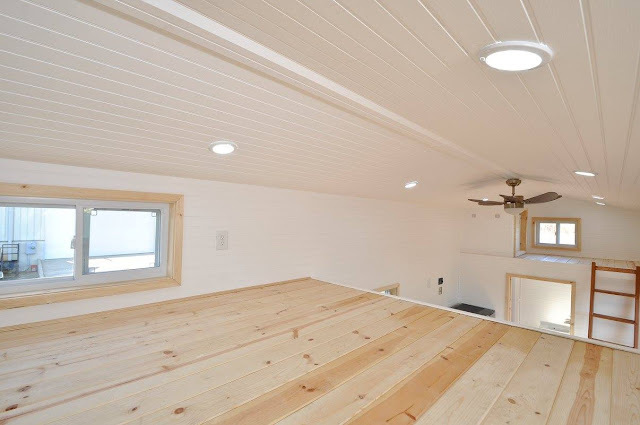 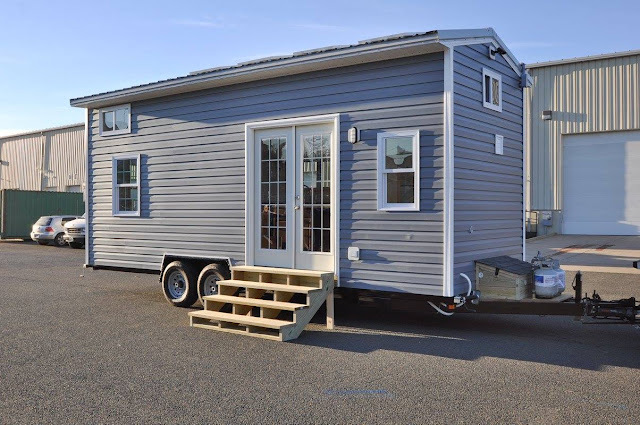 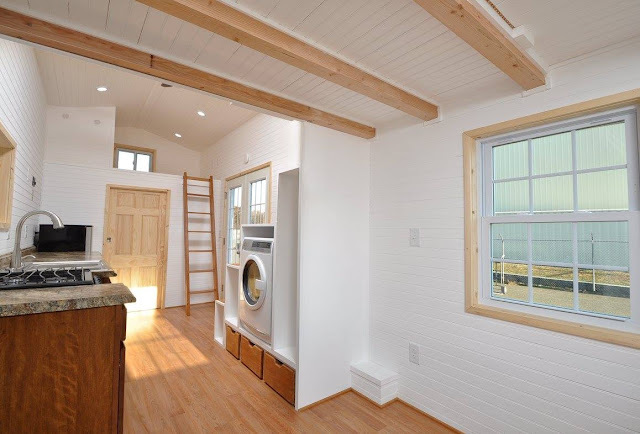 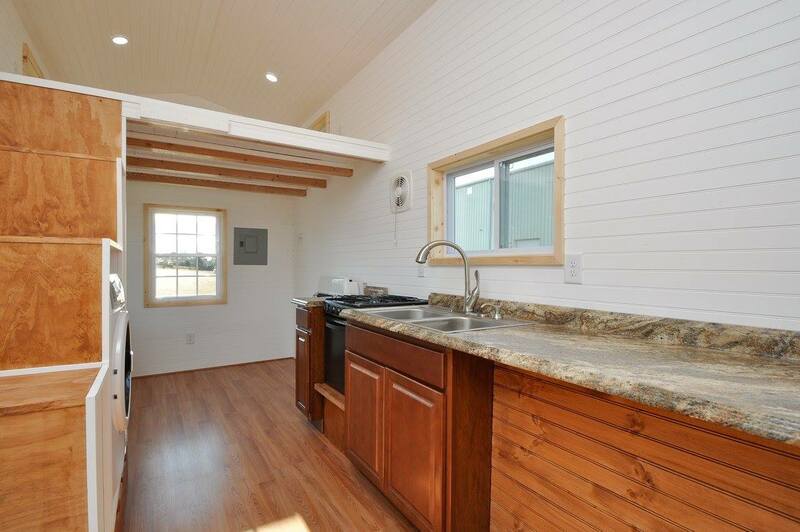 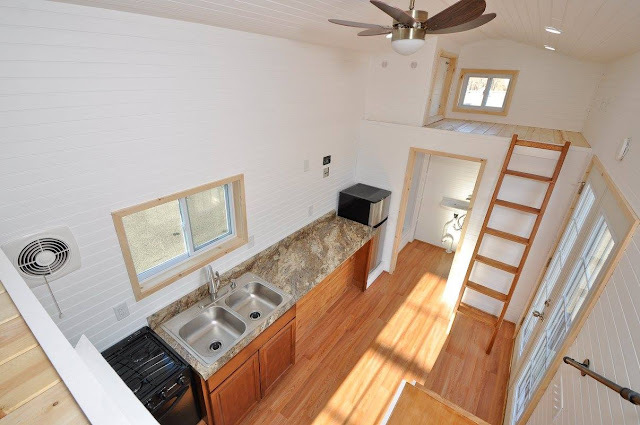 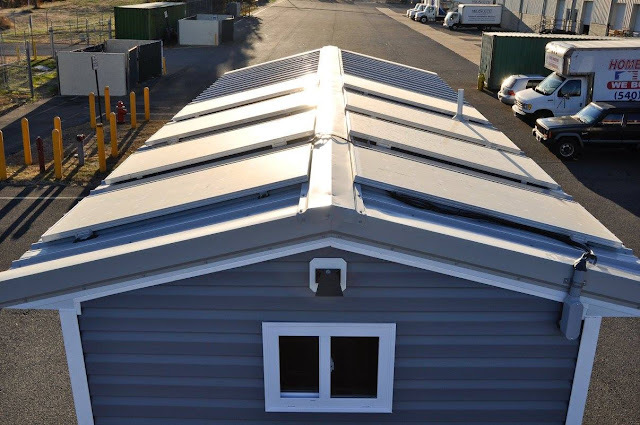 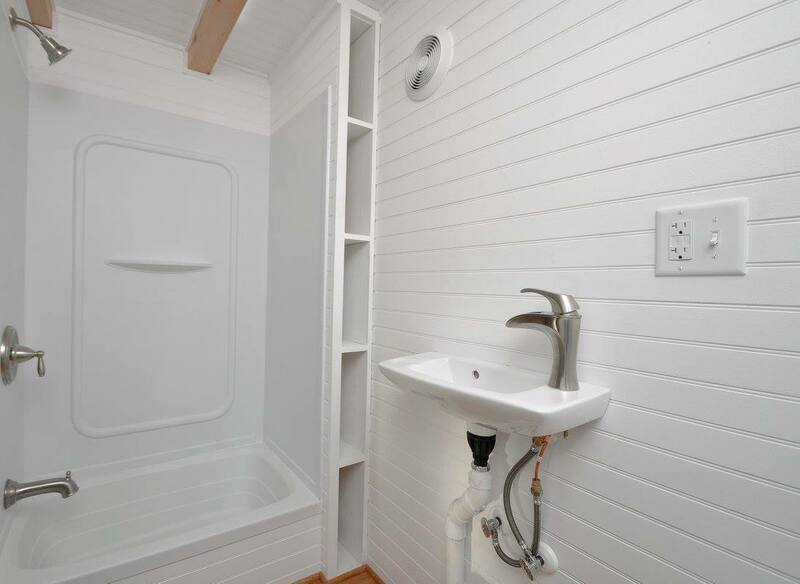 The Tiny House Building Company recently completed this gorgeous custom-built tiny home. 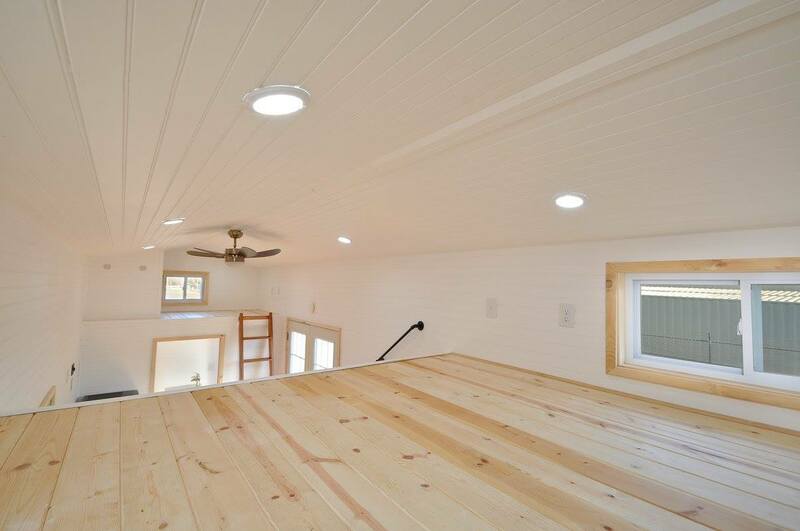 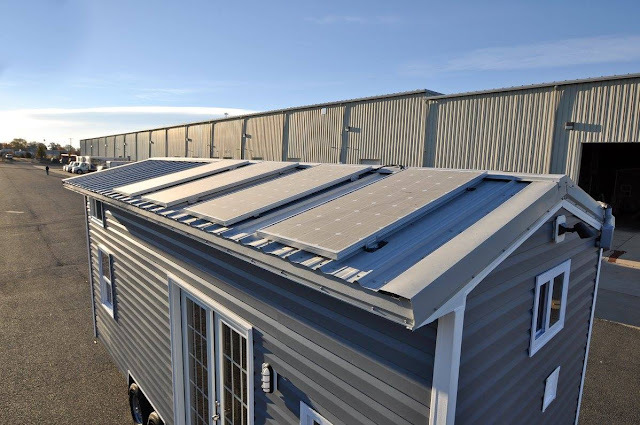 The 24' home is totally solar powered by eight solar panels on the home's roof. Inside the home is a warm and cozy wood interior with a full kitchen, living room, bathroom, and two loft spaces. 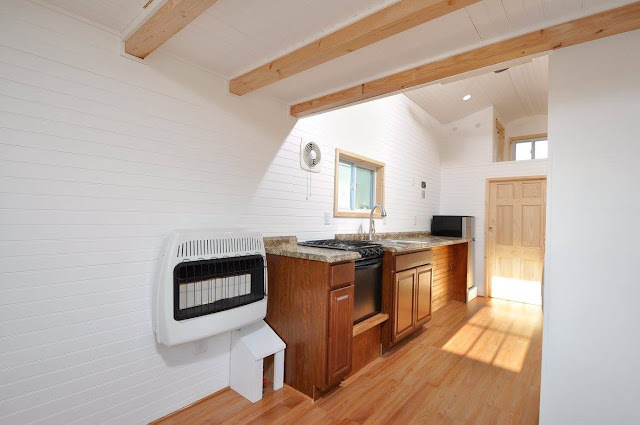 The kitchen comes outfitted with a three-burner oven/cooktop, a fridge, an abundance of counter space, and a stainless steel drop-in sink. 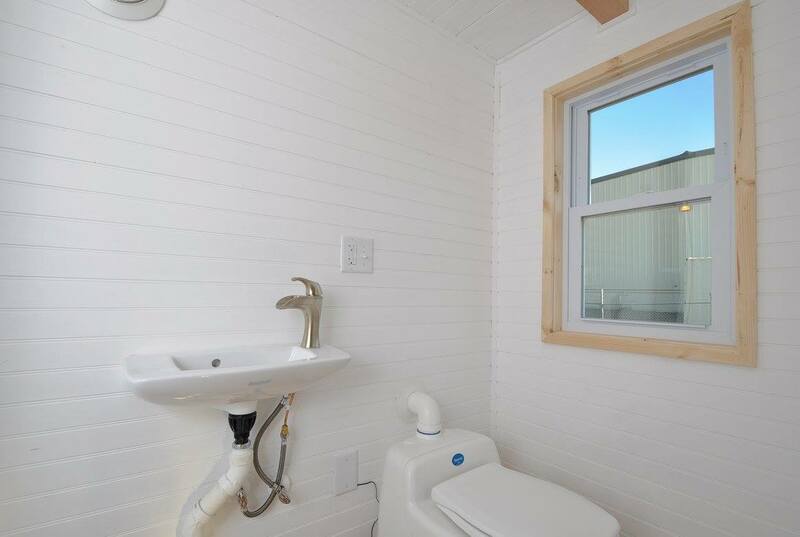 The bathroom has a sink, shower, and composting toilet. 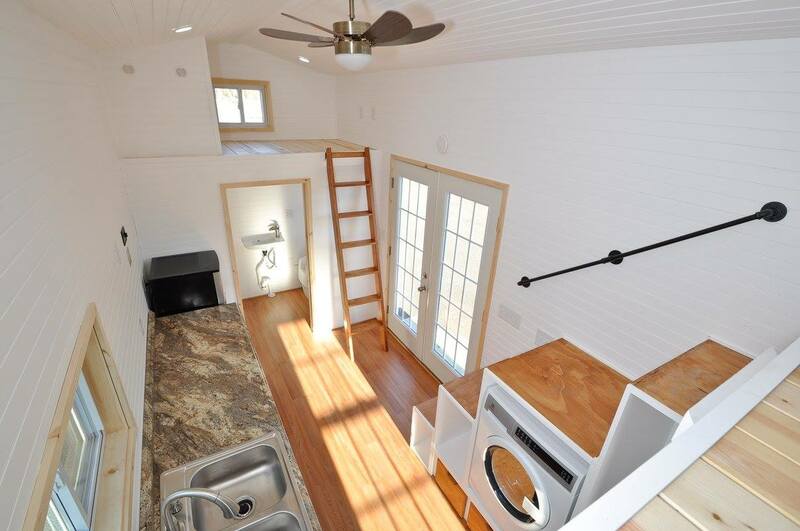 There's also two loft space; a king-size loft and a second smaller loft for storage. 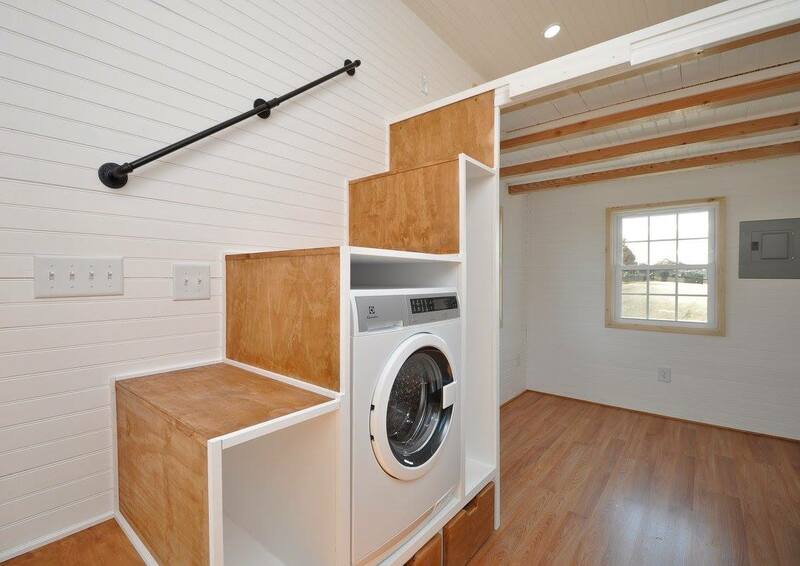 To maximize on storage space inside the home, the stairs up to the bedroom loft double as storage. 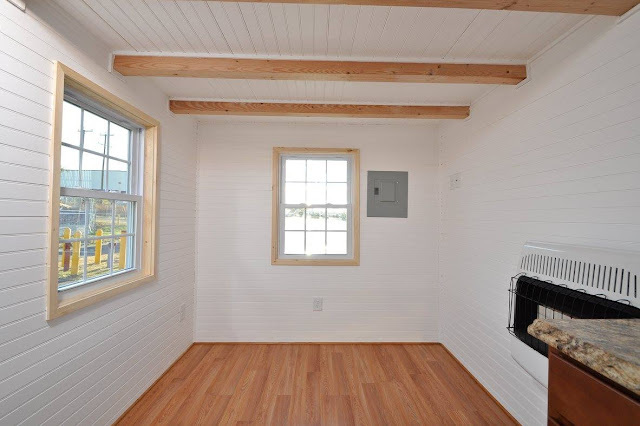 This exact home was a custom build, but you can contact Virginia-based Tiny House Building Company here to discuss a similar build and/or ask any questions!